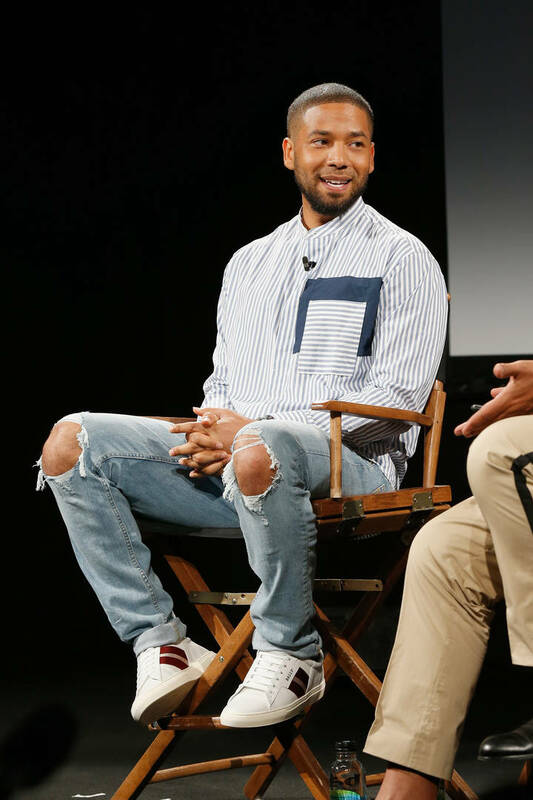 There's apparently enough validity behind the allegations that Jussie Smollett staged his own attack since he's no longer the victim in the case. According to TMZ, Smollett's being regarded as a suspect in the case. Chicago PD said that Smollett is "officially classified as a suspect in a criminal investigation ... for filing a false police report." Police sources said that the detectives on the case are now presenting the evidence to a Cook County Grand Jury. If the actor ends up getting hit with charges in the case, the felony carries a maximum three-year sentence. The two brothers are now expected to testify against Smollett as they're currently at the courthouse. The brothers involved in the case claim that the actor paid them before $3500 the alleged attack. However, the reason for the payment seems to be up in the air. The memo line on the check he paid them said it was for training as one of the brothers served as Smollett's personal trainer. Sources close to Smollett said that the money was for training sessions and a diet regime. Sources close to the brothers confirmed that it was for the training but they added that Smollett threw in a bit more money for the alleged attack. Although sources close to Smollett admit that the actor never said the additional money was for the alleged attack but they say it was "clear to all."